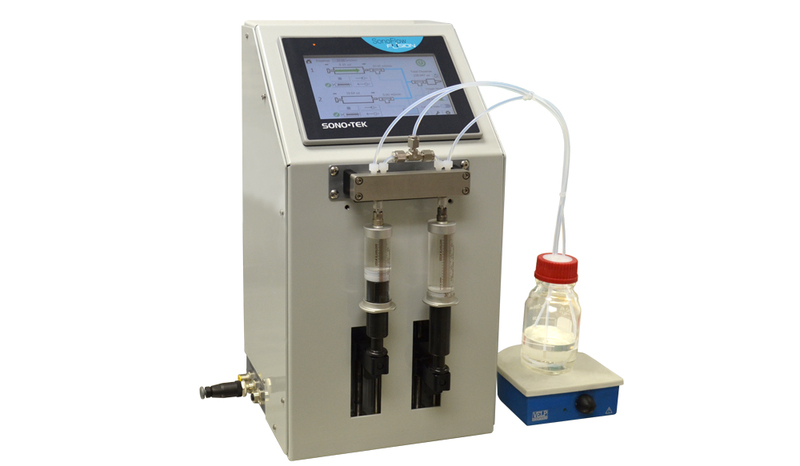 Sono-Tek has developed proprietary system options for liquid delivery and unique ultrasonic spray capabilities that almost all systems can be configured with. 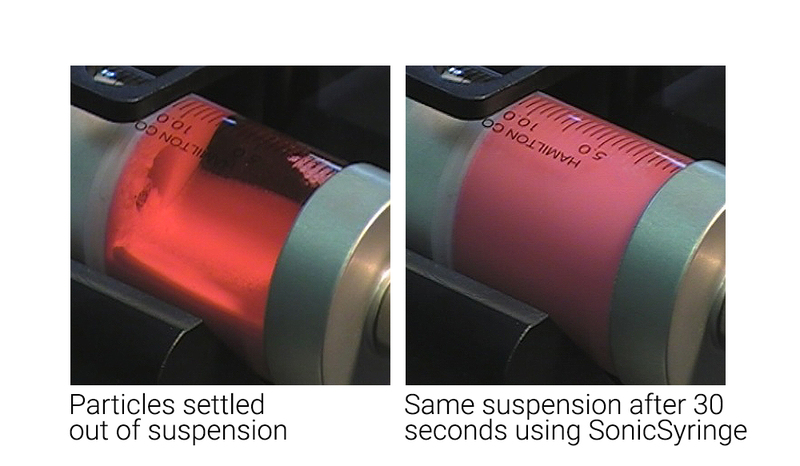 These enhancements make it possible to create spray patterns and deposition characteristics that differ from our standard ultrasonic spray nozzles. A patented Ultrasonic Dispersion Syringe Pump designed to quickly disperse particles in a mixture and hold them evenly suspended for several hours or more. Ideal for fuel cell catalysts, nanosuspensions, slurries with particels sizes up to 25 microns, carbon inks, carbon nanotubes, and ceramic slurries. An inline liquid delivery solution requiring only 5-10 ml. Ultrasonic atomization used in combination with electrostatics. This option is integrated with multi-axis programmable coating systems for enhanced deposition characteristics* in applications such as silver nanowires. *Results vary greatly and depend on substrate and liquid properties. 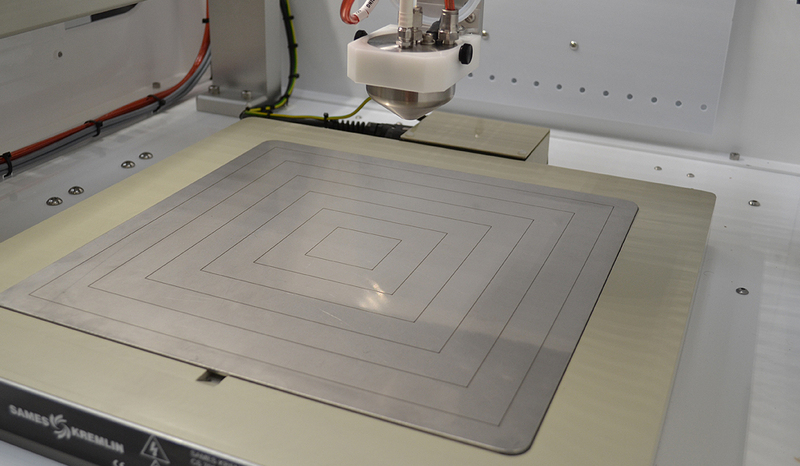 Integrated with multi-axis programmable coating systems, Vector produces highly repeatable fine lines and dots. High Volume Syringe Pump – Continuous or intermitent flow. Ideal for high volume dispensing of catalysts, or other suspensions or slurries. Dual Syringe Pump – Continuous dispersion syringe pump, non-stop delivery. Can be integrated with SonicSyringes or Magnetic stir plates for catalysts or other suspensions.